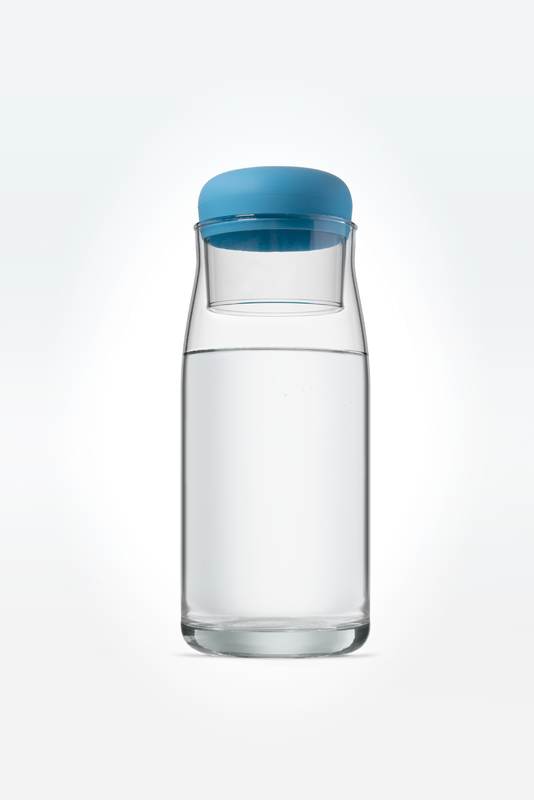 Global Omnium is dedicated, among other activities, to managing the whole water cycle: from catchment and purification, to distribution. 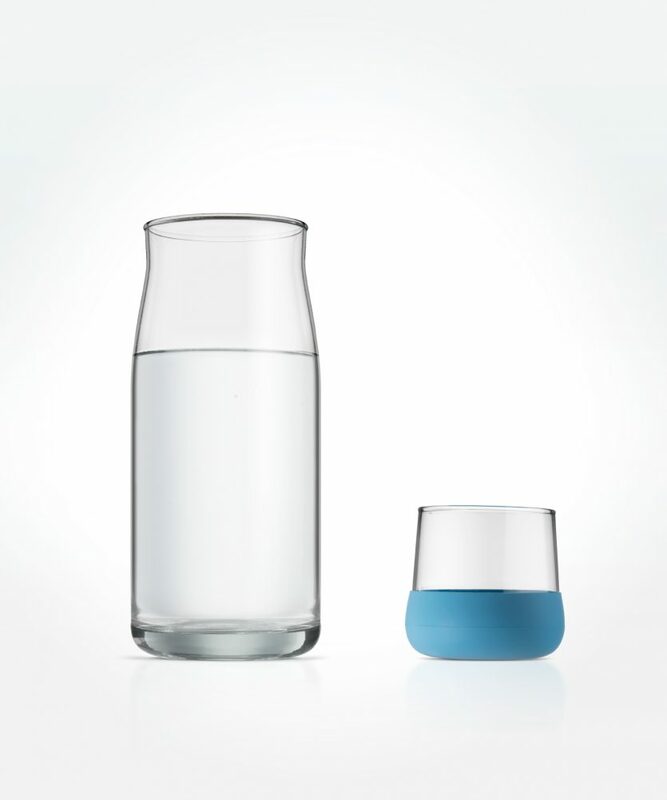 They commissioned us to design a carafe and glass set for internal use that would also serve as a gift. The idea is to promote the consumption of tap water or, at least, for the company, which dedicates so much effort to supplying homes with quality drinking water in the best conditions, to set an example. 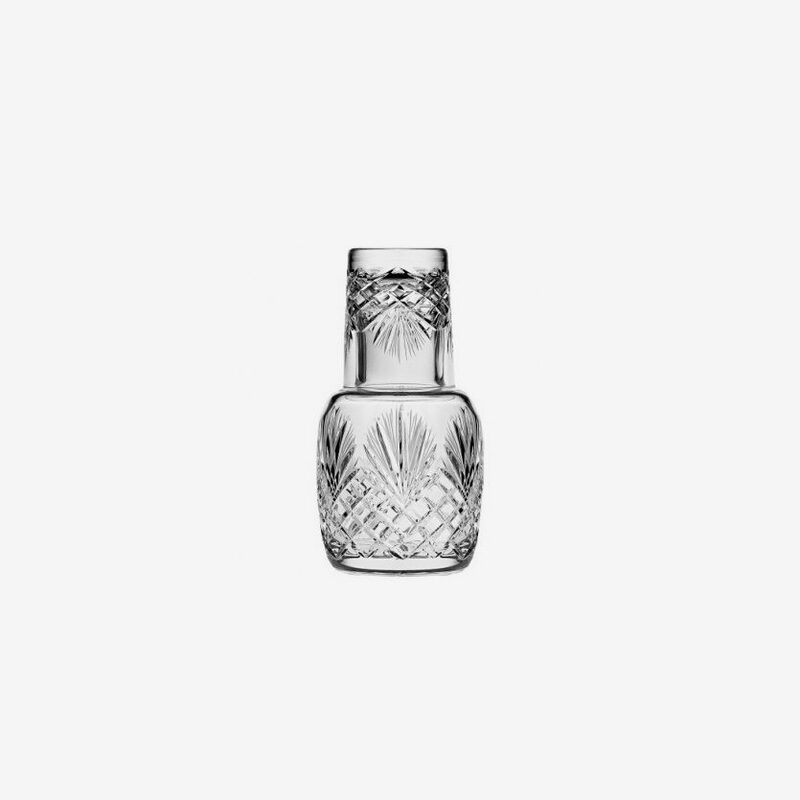 We were inspired by small jugs and glasses that were traditionally placed on the bedside table within arm’s reach, where the glass itself was used as a lid. Both the glass and the carafe are made of ecologic glass. 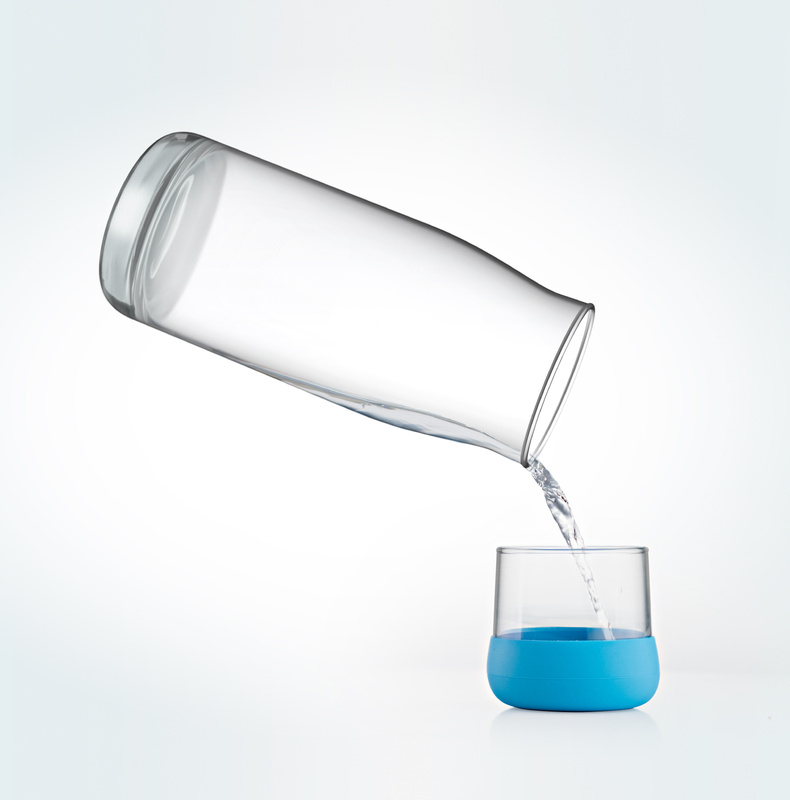 The base of the glass has a silicone sheath. 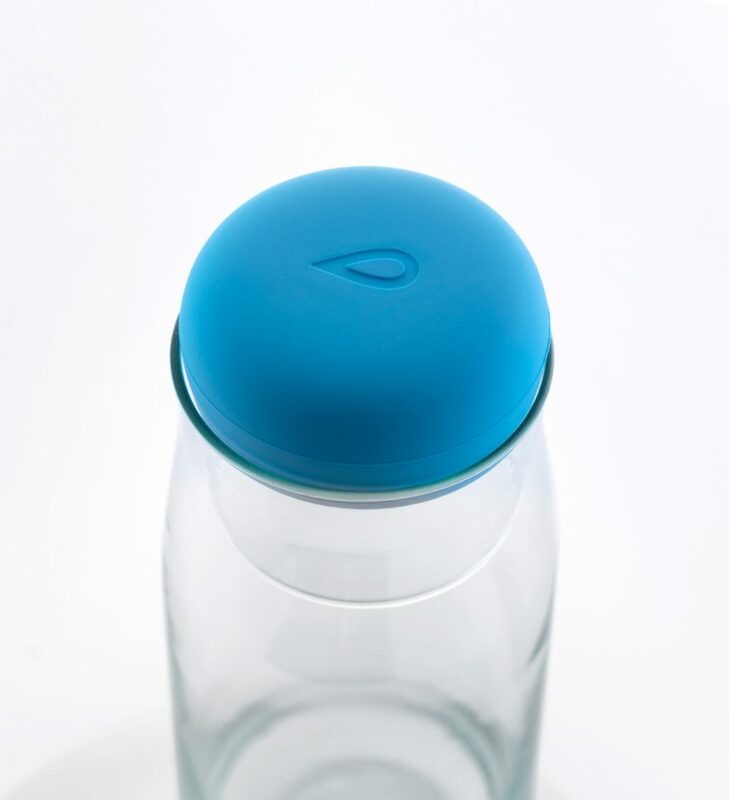 It can act as a stopper without the glass parts coming into contact, providing a more secure seal that protects the contents of the carafe when it is not in use.